Simple but still cool. This is the most popular nail style. 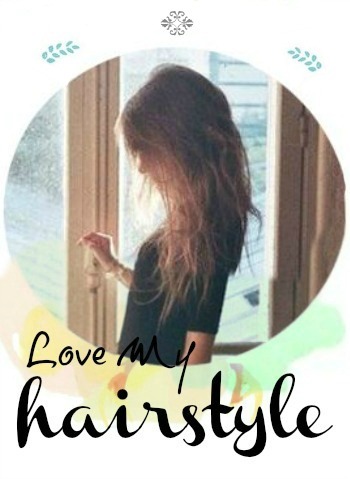 And you can make one like this! I will show you step by step tutorial. And you can always wear this nail art with black and white combinations. Make your friends jelauous with this! And you will need a white nail polish, some old newspapers and a medicine alcohol. 1. Step: Liquor two coats of white nail polish. Wait for it to dry. 2. Step: Plunge your nails into medicine alcohol. 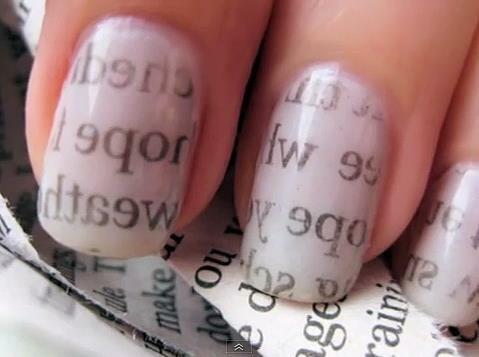 Then stick on your nails a little square piece of old newspaper. 3. Step: Leave it like that for at least 5 min. Then liquor a colorless nail polish, so that it will stay longer!